When you need a one-stop auto shop that offers tires for sale and quality auto repairs, visit the team at Lynwood Firestone. 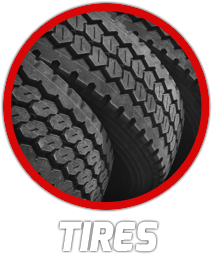 Located at 21551 Lincoln Highway in Lynwood, IL, we’re a complete automotive center, helping drivers from start to finish with all their tire, auto service, and maintenance needs. Come for our competitive rates and stay with us for our professional staff who consistently perform quality automotive services in a timely manner to keep you safe on the road. As a tire dealer, we have respected brands like Firestone, Bridgestone, and Hankook for sale. We’re open Monday – Friday 8 AM - 6 PM and Saturday 8 AM – 4 PM. We’re only a short drive from cities like Dyer, IN, Schererville, IN, Chicago Heights, IL, Glenwood IL, Park Forest IL, and Homewood, IL. And we want to hear from you! Let us know about your experience with a Google+ review!